I have a soft spot in my heart for St. David (Dewi Sant), the patron saint of Wales, and for the town that bears his name (St Davids, obvy). You’ll be hard pressed to find a more beautiful or more magical corner of the world than Pembrokeshire, and it doesn’t hurt that it looks a lot like northern California, where I spent my childhood. As Gordon so rightly remarks, when it comes to the colonized corners of Britain, Wales may not have Scotland’s aggressive glamour (so metal), but there’s something undeniably subversive in the way the Welsh just go on quietly Keepin’ It Welsh. (And I submit that what they lack in kilts they make up for in wetsuited surfers, so.) To my ear there’s a sweetness unique to Welsh music, and the language with its many Fs, Ps and Ws and its soft, full vowels and rolling cadences sounds gently magnificent. Appropriately, St. David–whose dying words included the injunction to “be joyful, and do the little things you have seen me do”–is a very chill saint. He has the juice to get stuff done but he doesn’t put on a big show about it, and I respect that. So it’s the feast of St. David today, 1 March, and this year I have really connected with his dedication to the little things. Currently I’m looking at having to ruthlessly Marie Kondo-ize all my earthly possessions, including family heirlooms, move out of my house within 2 months, and move overseas (destination and job TBD) sometime probably within the next half year, leaving friends and family behind yet again–and I feel very acutely the importance of community, family, friendship, and home. The profundity and preciousness of the small is evident from within a state of absorption such as I wrote about yesterday. In a divination the other day it was suggested that the the joys to be found in the small will always play a large role in my life and family. That of course remains to be seen, but it is an important reminder that how you do everyday things is usually more important than doing “big” things. And with everyone miserable with the state of the world and its so-called “leaders” these days (Kali Yuga, innit? ), some renewed attention to the small, the local, the personal, the immediate, the realizable, the concrete is timely. St. David’s day is an excellent time to reflect on the power of simply caring. And if you want to really mark the day, you could experiment with what happens when you combine mental absorption with an attitude of confident expectancy and calm enthusiasm and apply them to the little things in your life. And so I leave you with a song about being indestructible and honoring the small things, by the utterly delightful and brilliant Cosmo Sheldrake. Did you know it has been suggested that 2017 be “the Year of the Tardigrade“? Words to live by, eh? My ramblings about “pagan” Spain are not just a matter of ethnographic interest. It’s the broader themes they touch on, which have been tapping at my mental window for the latter half of 2015, that are the juicy bits. In particular, death and sacrifice. 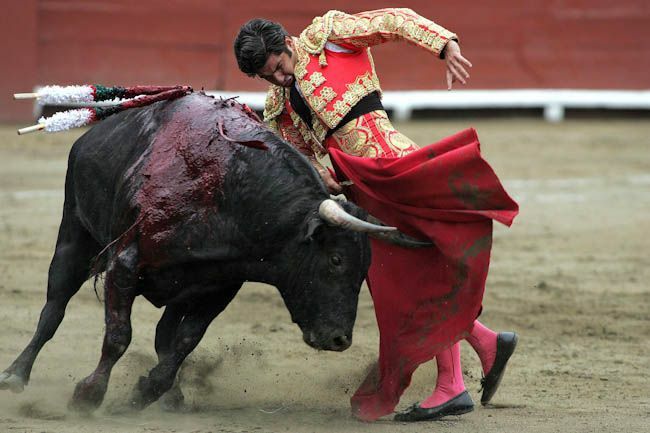 I haven’t met many non-Latin Westerners who aren’t at least a little uncomfortable with bullfighting, for example; and yet animal sacrifice is something some pagans are quite comfortable with, as are many African and diasporic religions. I believe a big chunk of our bad feels about bullfighting come from the misapprehension of it as merely an entertainment; but regardless, I believe a sober reflection on bullfighting and how it makes us feel can help us dig a little deeper into what sacrifice means, why we do (or don’t) it, what values it enacts, our relationship (as humans, as priest/esses, as devotees, etc. etc.) to the sacrificee, and how best to go about performing a sacrifice. A life unexamined is wasted, but a religion unexamined is dangerous to all concerned. With Jesus we come back around to sacrifice, since in Christian theology his crucifixion was said to be the ultimate sacrifice, that renders any other unnecessary forever. That sacrifice wrote a blank check to the cosmos. In the Spanish context, though, it seems that it’s a check that needs to be signed again every year through ritual reenactment. That’s hardly unusual in the context of pagan Mediterranean religions, but you don’t see it too much in mainstream Christianity. There’s been some discussion of animal sacrifice in comments on the Well of Galabes blog (the comments about sacrifice are somewhat peripheral to the subject of the blog post). If I remember correctly, one person said they would have no part of blood sacrifice and any deity who would demand it is, if not actually evil, then certainly not the sort one wants to associate with. Someone else said, if you have a problem sacrificing chickens I sure hope you’re not eating meat because hello, hypocrisy? And yet another person said something like, slaughtering animals was a normal part of life until very recently, and dedicating to a deity a death that was going to happen regardless just makes sense. It’s like inviting the deity over for dinner. This latter approach makes a lot of sense to me. I have to be honest–if and when I ever find myself keeping livestock, I am not going to be the one slaughtering it. It’s not a moral virtue on my part–quite the contrary, in fact–it’s just a personal limitation, even a weakness if you will. I think our society’s squeamishness around death is both silly and damaging to the dying and the grieving–which, let’s face it, is all of us at various times–but even so, I don’t think animal slaughter was ever meant to be ho-hum. When you bring about someone else’s death, that should matter to you. You should take it seriously and reflect on your own mortality and that of the deceased. It should be uncomfortable enough that you can’t ever undertake it lightly or in excess. A little ritual hedging around the event can only help. On the other hand, I believe it was the anthropologist Michael Taussig who said that sacrifice is not about an exchange (“Hey, thanks for all that rain you’ve been sending our way; here, have a virgin,” or, “If you give me a million dollars, I’ll give you a chicken”) but is instead a way of entering a non-normal state of being that enables communion with the deity/ies. (It’s been many years since I read that, so I might be garbling it a bit.) I wonder (because I don’t remember) whether Taussig was viewing sacrifice as an essentially taboo activity that, in left-hand path fashion, acts to liberate the participants from stultifying social norms. That works for explaining how our offerings are received, but not so much in the case of an animal that is ritually slaughtered but then eaten by the humans involved, because arguably, the people might not otherwise have been about to eat that chicken, but they would probably have been eating a chicken. I don’t find the lack argument totally persuasive; it may well be true some of the time, but it can’t explain all the forms of sacrifice. My own experience isn’t sufficient to have formed a strong opinion on this though. 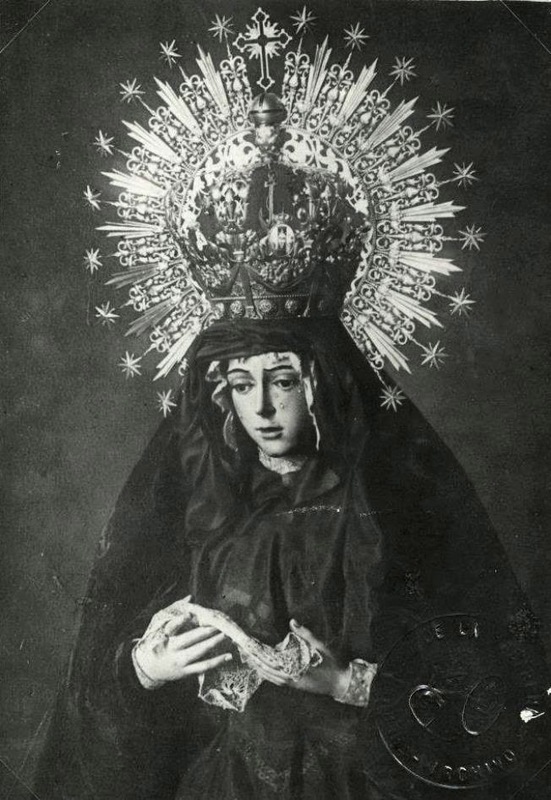 Yet thinking about the “awareness of lack” brings me back to the grieving that is so central to Andalucían religion. (Incidentally, grief also forms the main subject matter of flamenco songs, which is part of why people look so tortured when dancing to the “deep song.”*) Grief is the ultimate awareness of lack. If, as Gordon says, our non-physical neighbors are fascinated by lack, something they don’t experience, then the entities honored as various Virgins and Christs must be loving 20th/21st-century Spain. I keep coming back to the question, how–and why?–does one celebrate grief? 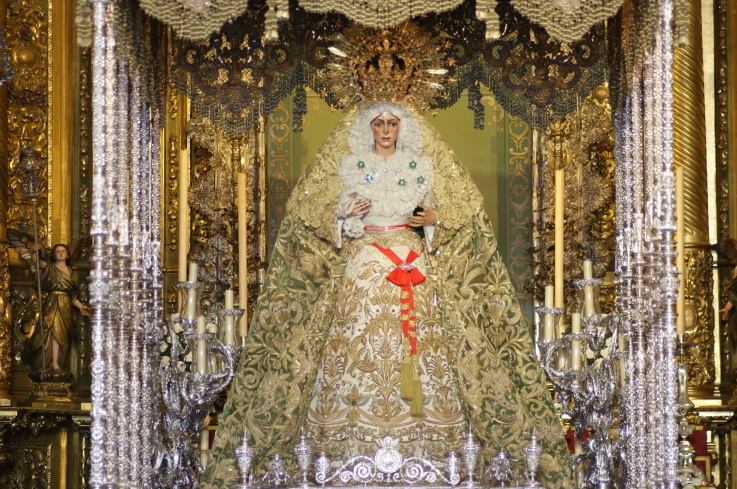 That’s what I see happening in Sevilla’s Holy Week rituals (and indeed Spanish comedy as well). But it proves that it can be done. Perhaps even that it should be done, sometimes. Death more generally runs through (what I consider to be) Andalucía’s pagan traditions like an underground river. You may not see it clearly, but you can always hear it burbling away beneath. For people who know how to enjoy life so well (¡fiesta y siesta! 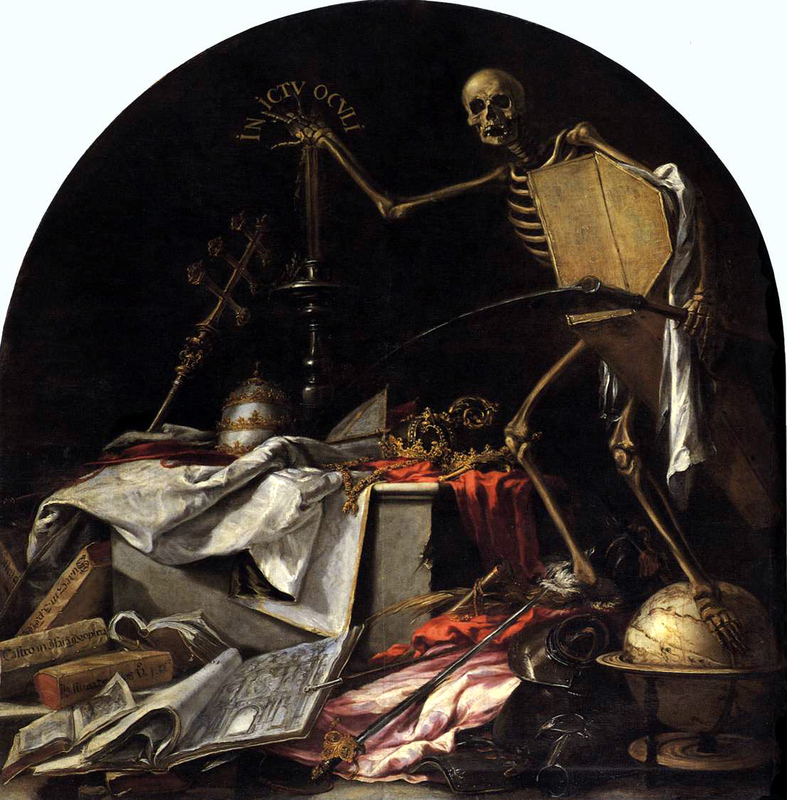 ), Spaniards have always struck me as quite morbid. Actually, I’m sure that’s no accident. If they are unusually preoccupied with their own mortality, they arguably have reason to be: just in the 20th-21st centuries they endured a tremendous amount of wealth inequality with grinding poverty for most, a vicious civil war, an oppressive dictatorship (which many perversely love in retrospect), regime change, drought and famine, and a collapsed economy. I noticed when I lived there how, in addition to preferring their Virgins to be depicted in a state of eternal mourning, they like their Christs battered and bloody. 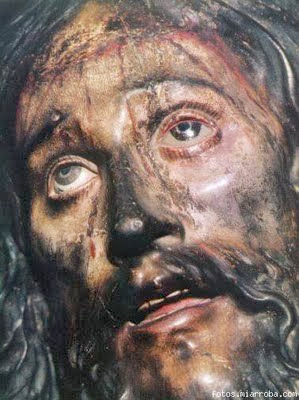 In Spain they want a Jesus who really knows what it means to suffer. 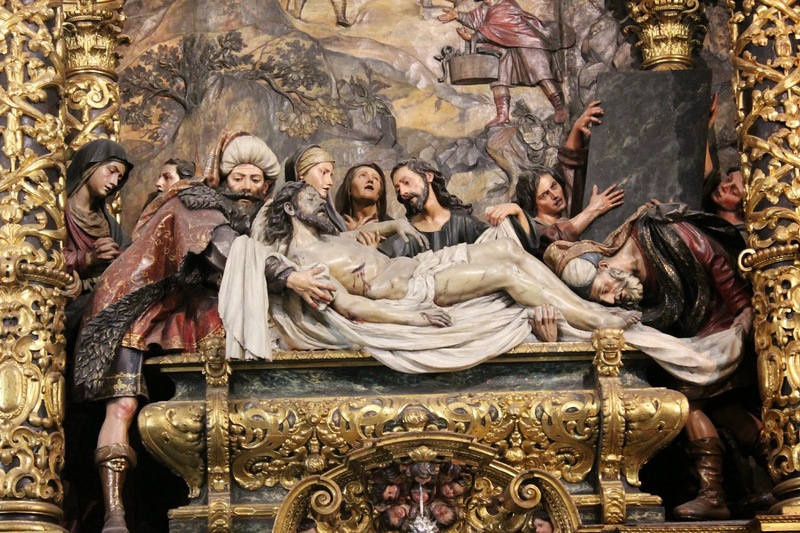 In Sevilla, the wee hours between Maundy Thursday and Good Friday, when Jesus ostensibly died, are far more socially important than Easter Sunday is. Which is kind of funny when you think about it: The central mystery of Christianity is not supposed to be Christ’s death but his resurrection. Osiris was also defined by his resurrection, and though he was often depicted as a mummy, it seems to me (not an Egyptologist here) that he’s mostly depicted alive. 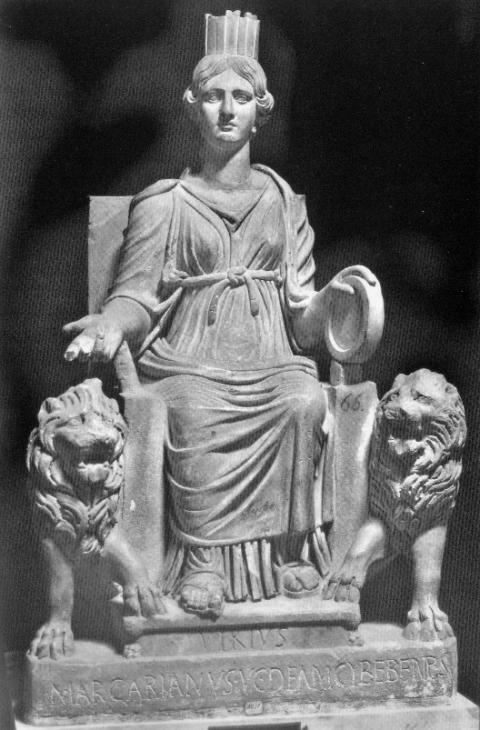 Even when he’s dead, Isis is usually in the midst of reviving him or he has ripe grain growing from his body. So what’s with all the gory Jesus iconography? Well, you can’t resurrect unless you first die. Part of Jesus’ mythology is that he is human (among other things), so by definition his body has to be able to die. Evidently this is something Spanish people (Andaluzes anyway) can really connect with. Likewise, maybe they identify better with a Virgin Mary who grieves because they too know grief and find the deepest wells of empathy within it. Yes, when it comes to Spanish Jesus, the deader the better. One might even say it’s a case of overkill. One might say the same about bullfighting, even if one regards that as a ritual sacrifice. In turn I wonder, are we to learn from this that a more torturous sacrifice has more juju? Must the sacrificee be put to the test in order to prove himself** worthy of the best possible completion of his life? Are these things relevant to the non-physical honorees of the sacrifice at all, or do they only matter within human categories? *There are folkloric forms of flamenco grouped under the rubric of “little song,” in contrast to the more classical deep song. They tend to be danced in a more upbeat style, but even there, the songs are almost always about grief. **Jesus and bulls all being male, I use the masculine pronoun deliberately here. It does beg the question of what the female role(s) in this passion play might be–grieving only, or something more?